In September, OEC joined in on the fun with over 800 other exhibitors at the New York Maker Faire, the “World’s Greatest Show (and Tell).” The two day festival, held in Queens, NY, brought together all manner of ‘makers’ – scientists, tech aficionados, crafters, educators, and so on – to show what they have made and share what they have learned. 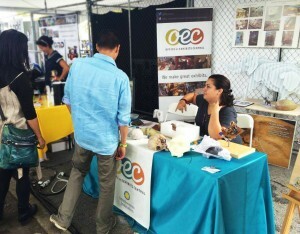 This was OEC’s first time attending Maker Faire. 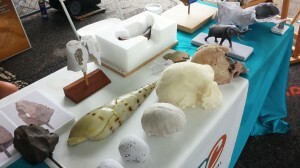 Modelmakers Carolyn Thome and Megan Dattoria set up a display in the 3D printing village. (Yes, there was entire village of people who work with 3D printers.) Armed with miniature lungs, gorilla skulls, enlarged shells, and other goodies, they told attendees of the amazing ways the OEC is using 3D printing technology in exhibitions and outreach programs at the Smithsonian. 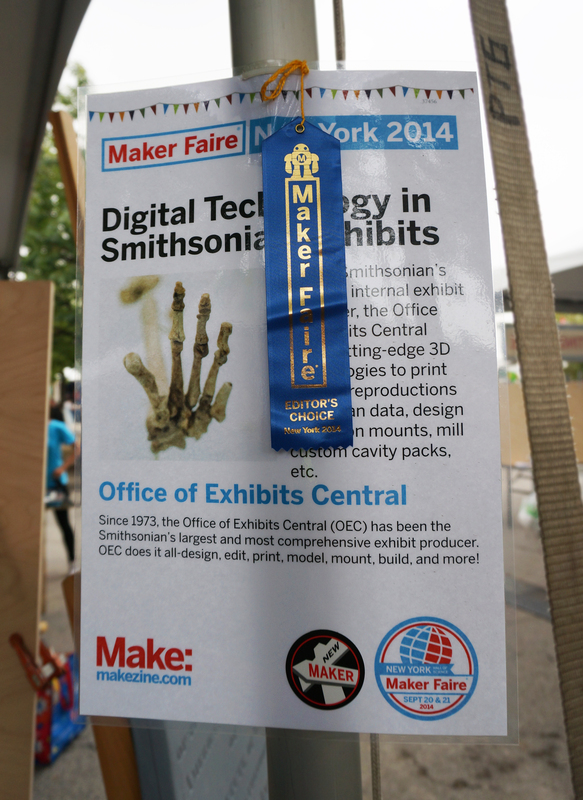 Visitors loved checking out our 3D printed objects. Editors loved our objects, too. OEC won an Editor’s Choice ribbon! Maker Faire provided a chance for OEC to show off some of the innovative ways the Smithsonian is using this groundbreaking technology. 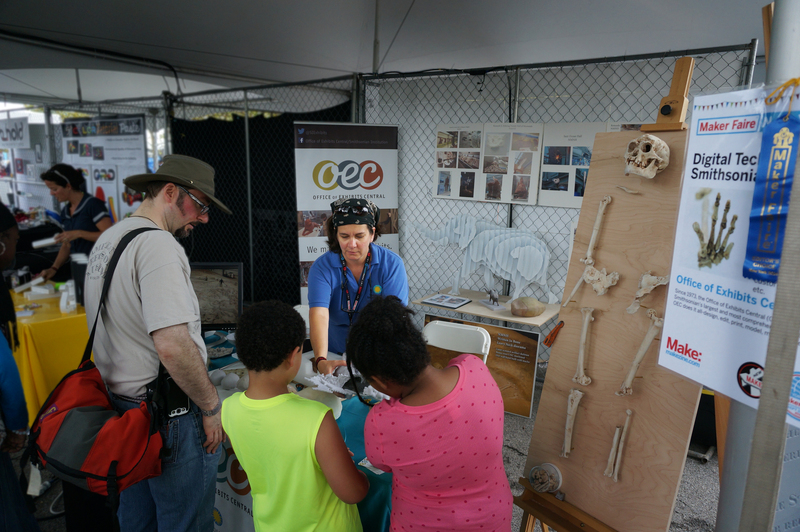 Carolyn and Megan also got to compare notes with other makers… and check out the first 3D printed car, an enormous human-sized mousetrap game, battling drones, and thousands of people outside the gate waiting to get in both mornings. Carolyn shows attendees some of our models. Megan met with attendees and also tweeted from the festival. 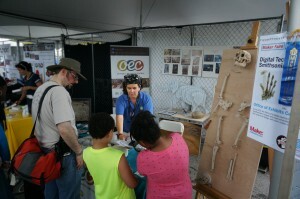 You can follow OEC @SIExhibits.